Moving on with the Unicorn theme, I created this Unicorn visual discrimination puzzle. Study the picture closely. 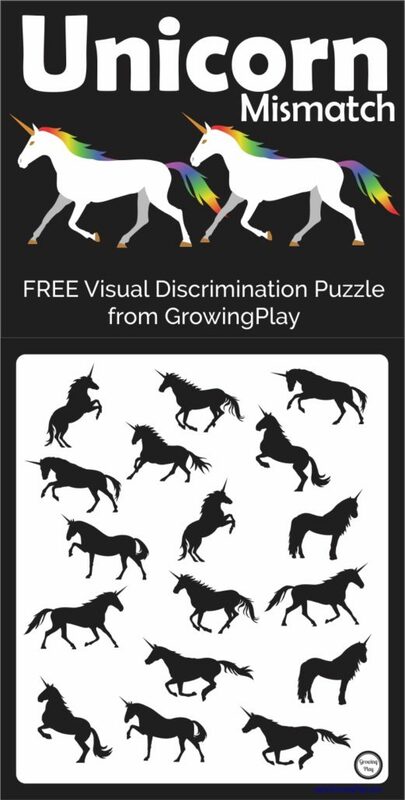 Can you find the one unicorn that does not have a match in this Unicorn Visual Discrimination Puzzle (download below)? This requires visual discrimination skills to determine how each unicorn is the same of different. Check out Visual Discrimination Seek and Find for more visual challenges like this puzzle. Can you draw a line connecting each unicorn to it’s match? Once that is complete, circle the one unicorn with no match! 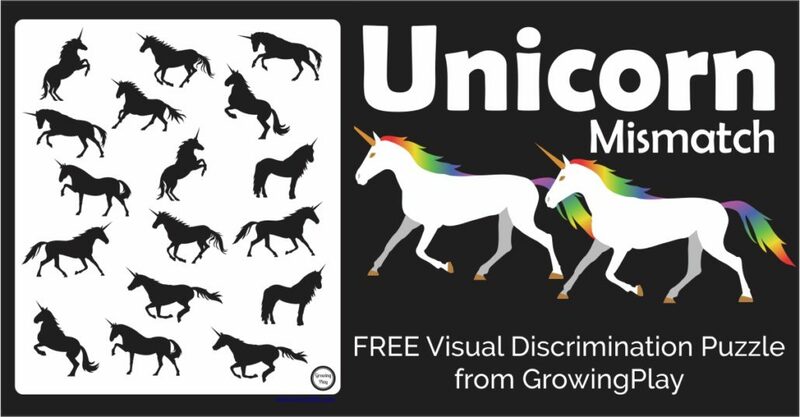 You can download the Unicorn Mismatch Visual Discrimination puzzle below. 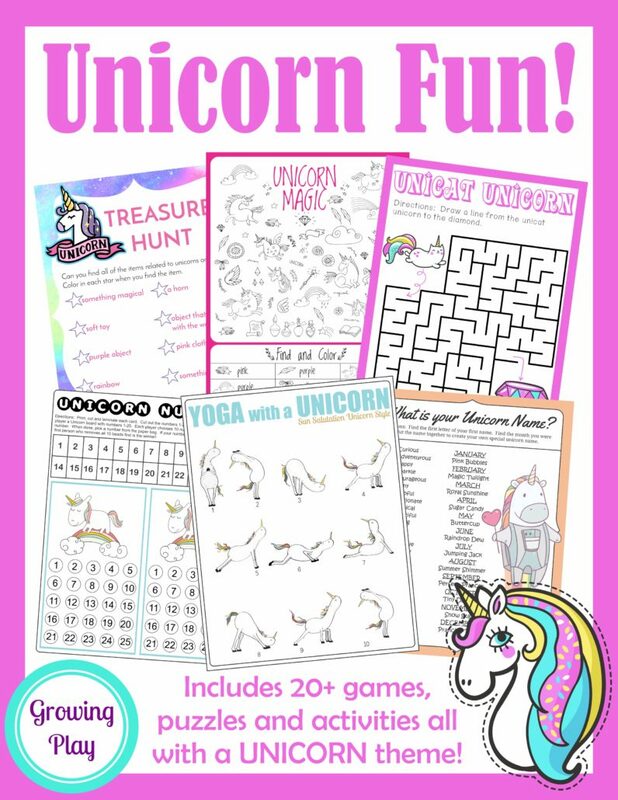 Get the complete Unicorn Games, Activities and Puzzles packet. This digital download includes 20+ Unicorn Birthday Games, Activities and Puzzles. It is perfect for rainy day fun, indoor playtime, birthday parties and more! It is available for immediate electronic delivery. FIND OUT MORE.